Your ability to protect a customers’ private information plays a vital role in establishing your reputation as a credible organization. It is not just a matter of customer’s trust anymore. Failure to comply can lead to costly consequences that may prove fatal to your enterprise’s existence. 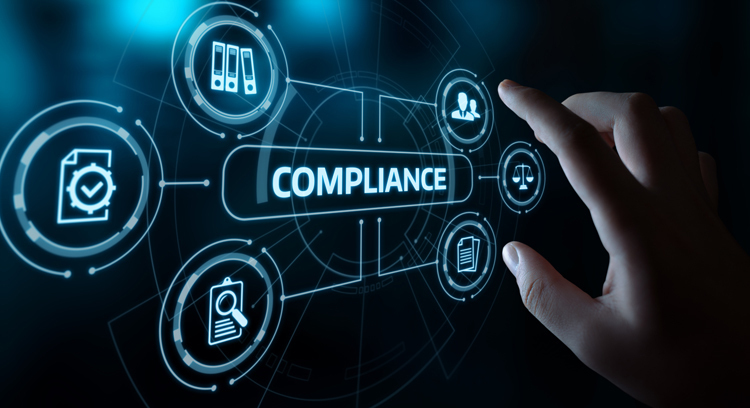 Mars Technology helps businesses build and uphold their trustworthiness by maintaining compliance with Federal, State, and International Regulation. Our privacy and compliance solutions include advisory services that can help you identify your areas of weaknesses and potential business risk. Our experts have complete knowledge of regulations that concern your business and sector. At Mars Technology, we create strategies and solutions with the help of attorneys having a complete knowledge of corporate laws and compliance regulations. We utilize the Risk Management Framework (RMF) and Privacy Laws to formulate clear and unambiguous contractual language with respect to the privacy statement (for marketing/sales purposes and customers authenticating into the system), third-party vendors, terms of service, Non-Disclosure Agreements (NDAs), etc. Moreover, with our intuitive Security-Program-as-a-Service (SPaaS), we utilize the security on-demand approach to ensure compliance while minimizing cost. The aim is to help you stay compliant despite the ever-changing nature of laws and regulations. Our privacy and compliance services are availed by private vendors and government agencies across Washington, DC and McLean, Virginia. We support all your privacy and compliance needs so you can focus on innovation, growth, and things that matter. Call us to discuss your compliance concerns with our experts.